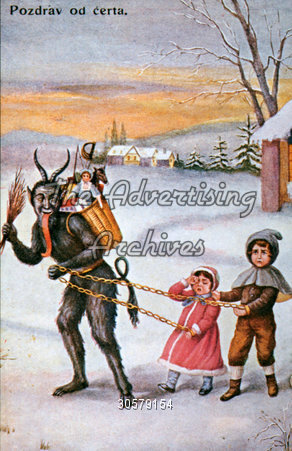 Poster Germany Evil 1900s Devil Children Demonic children Small Original The Krampus Devil Postcards Monte Beauchamp The Devil in Design is a fascinating full-colour compendium of extremely rare late 19th and early 20th-century Krampus illustrations. The Devil in Design is a fascinating full-colour compendium of extremely rare late 19th and early 20th-century Krampus illustrations. Poster,Germany,Evil,1900s,Devil,Children,Demonic children,Small Original,The Krampus Devil Postcards,Monte Beauchamp,The Devil in Design is a fascinating full-colour compendium of extremely rare late 19th and early 20th-century Krampus illustrations.